5 Perfect Wedding Color Combination Ideas You’ll Love! Now that you’re engaged, settled on a wedding date and venue, it’s time to pick out your wedding colors. The colors you choose can come from anywhere; just make sure they are the best reflection of your personal style and taste. 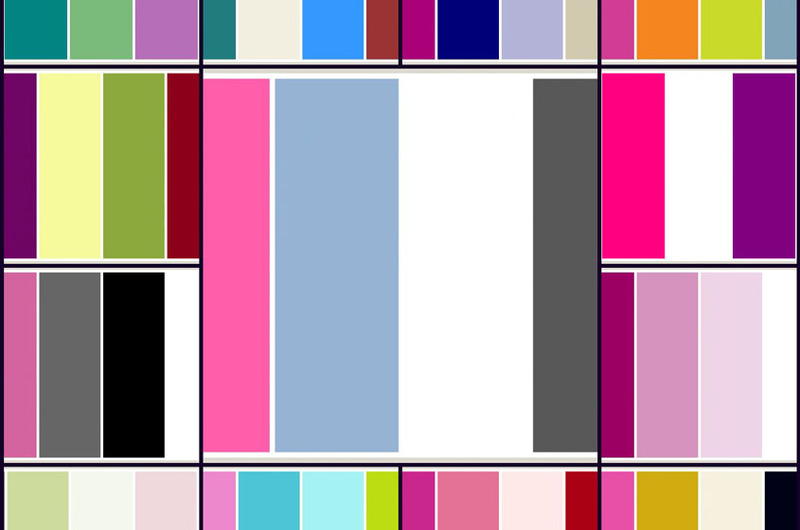 Maybe you have one color in mind but want to know what color combinations will create a pleasing palette? Well, we have color inspiration to help! Typically the bride and groom decide on a palette of colors that go together by combining an accent color with a neutral. You might want to choose colors based on the season or look to bridal magazines and blogs for inspiration. Whatever colors you choose, just make sure you go with what you love. Seasons and trends don’t matter if you don’t like the way your wedding looks. Make sure you look back at pictures of your wedding day and see beautiful colors that represent your personality and overall relationship with your significant other. To help get you started on picking out wedding colors, we’ve written out a list of tips to help you decide and provided 5 perfect wedding color combination ideas you'll love. Match your colors to your venue – Before you start looking at wedding venues, have some color palettes in mind. You want your wedding colors to match the venue and vice versa to provide an overall look that pairs well together. Think Seasonally – Choosing wedding colors based on the season of your wedding can be a great way to find color inspiration but don't shy away from colors you love because of seasonal “rules.” However, if you want seasonal colors, rich fuchsia or jewel tones look great for fall, blush and silver are beautiful on a winter night, rosy pink is perfect for spring, and coral is a summer staple. A seasonal wedding palette can also provide great inspiration for other wedding ideas like decorations and party favors. Set the Mood – What mood do you want to set for your wedding day? Dramatic? Relaxed? Nostalgic? Think about the ambiance you want to create and choose your colors from there. Look to What You Love – If you aren't sure what colors to choose for your wedding day, look to the colors you surround yourself with normally. Look at the colors around your home and open your closet to see the colors in your wardrobe. If your home is covered in shades of blue, that’s a great start to a wedding color palette. Or if your wardrobe is filled with dramatic reds and dark grays, those colors look wonderful together for a wedding. 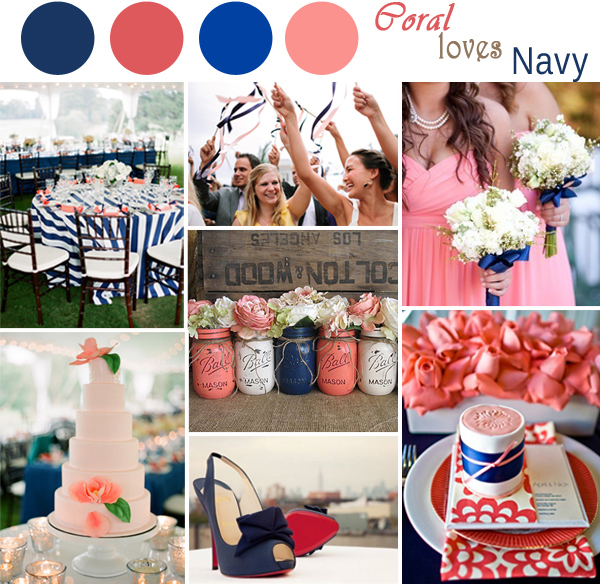 Get Motivated – Bridal websites and blogs are great for color motivation. They can help you see colors you already love in a new way to create a beautiful color palette perfect for you. Find Colors that Go Together – A classic way to build a color palette is pairing bright, saturated colors with a neutral color (like violet and gray or blush and gold). Now that you have some tips and ideas for choosing wedding colors, here are 5 perfect wedding color combinations you'll love. If you are planning a minimalistic or rustic wedding, a color palette made of natural whites and greens will look perfect! This is also a great color scheme for spring and summer weddings if you are looking for seasonal colors. Incorporate tons of white flowers and greenery into your wedding décor with flowers like white peonies, white roses, and baby’s breath. White candles make great aisle decorations and centerpieces, and they’ll look even better surrounded by natural green plants. Pair your natural white and green decorations with rustic wood, perhaps with a wooden “Welcome” sign. And don’t forget the cake! Try a beautiful white layered cake decorated with flowers and green plants and leaves for a simple yet sophisticated look. This is the perfect color palette for a bright summer wedding! Dress your wedding party in navy suits and bridesmaid dresses, with coral boutonnieres and bouquets to match. The bride can also incorporate a navy ribbon around her waist if she prefers some color. Coral and gold paint dipped leaves will look beautiful for the aisle and wedding table decorations. Then for the reception, serve fun pink drinks paired with gold table settings. And for a stunning wedding cake, decorate a white layered cake with navy ribbons, coral flowers, and a gold cake topper. A mauve and neutral color palette will look wonderful any time of year, but especially for a spring wedding. Choose gray suits and mauve bridesmaid dresses for your wedding parties, paired with mauve and light pink flowers for the bouquets. For an evening ceremony or reception, decorate with white candles and tea lights everywhere to light up the room and provide a romantic ambiance. Mauve rose petals will look stunning for the aisle and incorporate your wedding colors into your wedding party favors with mauve sweets like macarons! For a stunning winter wedding, select a palette with shades of red and dark gray. 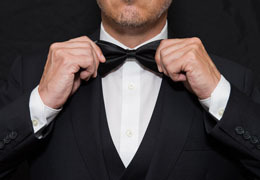 Gray dresses and suits for the wedding party will be perfectly accented by red roses or bold red shoes. For the wedding decorations try red flowers for the centerpieces and dark gray cloth napkins. Add additional romantic touches with dark red tulle to decorate the reception chairs. And for a non-traditional but beautiful cake idea, select a dark gray cake decorated with white and red flowers, or for the more traditional bride and groom decorate a stunning white cake with red flowers and ribbons around each layer. Last but not least, we’ve selected a bright fall color palette everyone will love! Dress your bridesmaids in bright cranberry red dresses and black suits with cranberry ties for the groomsmen. Pick out lovely bouquets with shades of red and orange flowers for a beautiful pop of color next to the bride’s ivory wedding dress. If you enjoy seasonal decorations, pick out pumpkins for your wedding table decorations and throw wedding leaves to embellish the aisle. Gold painted pumpkins and leaves can also add a sophisticated edge to your fall decorations. Then offer seasonal treats like candied apples, pumpkin desserts, and cider or seasonal beer. Your guests will fall in love with your seasonal décor. If you have one specific color or season in mind, then hopefully our color combinations have provided some much-needed inspiration! When picking out wedding colors always remember to choose colors you love and don’t focus too much on trends or seasonal rules if it means you won’t truly like your wedding colors. If you have a specific accent color already picked out, find a neutral that matches and you’ll have a great foundation for a stunning color palette. For other inspiration, flip through bridal magazines and skim through wedding blogs to see what other brides are doing. Then ultimately choose a color palette that represents your taste and style and you’ll look back on your wedding day with beautiful memories of one of the most special days in your life.